Housed within the slew of General Motors news this morning is the confirmation the company is killing off the Chevrolet Volt. The car that launched GM into the world of electrification back in 2011 will end production in early 2019. According to both Reuters and Jalopnik a GM spokesperson has confirmed that production of the Volt will end on March 1, 2019. The Volt is currently produced at the company’s Detroit-Hamtramck assembly plant outside of Detroit. The plant is one of several plants GM plans to idle starting in 2019 as part of a broader restructuring. At the end of September Volt sales were down 13.7 percent as car sales across the industry continue to decline. At that time GM had only sold 15,000 copies of the plug-in vehicle in the U.S. this year. 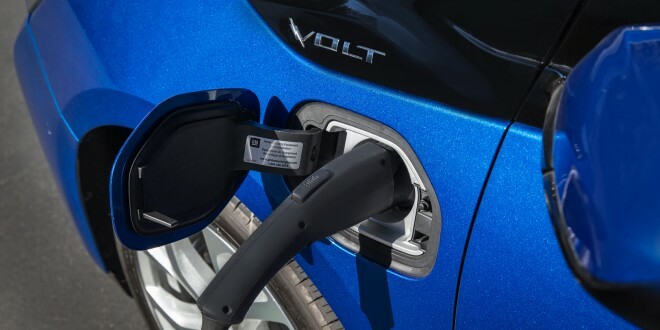 GM is not saying the Chevrolet Volt name will return on a future product. The Chevy Volt was a barometer of engineering might within GM and represented the singular American vision of electrification during the Great Recession. That American tastes and GM's focus shifted so quickly from the groundbreaking Volt worries me — not over about the direction of GM, but the direction of American attitudes toward energy independence. The shame here is that GM had market and technology leadership on plug-in hybrids and squandered it. The Volt itself should have gone away, but the Voltec architecture should have been incorporated into every new GM platform. Equinox buyers, for example, should have the option for a Equinox Voltec that could do, say 40 miles on battery and still average 40 mpg when using gas. It's inability to do that was a huge wasted opportunity.